Currently on hold Italian doom/gothic metal band. Lineup - Riccardo Conforti (Drums, keyboards, and samplers) and Ivan Zara (Guitar and bass). They managed to create very original and impressive music. Earlier recordings are more gloomy/depresive doom metal with growling vocals, the last release is more melodic, though very impressive. Relased by Code 666 label. Riccardo Conforti (Drums, keyboards, and semplers) and Ivan Zara (Guitar and bass) constituted VOID OF SILENCE with the intention of create music that would be the perfect union among its different influences: the one Dark/Ambient with gothic and industrial junction for the first one, and the one Doom/Metal oppressive of the second one. They both come from different Italian underground worlds: Riccardo Conforti was the Oblivion’s drummer and he’s still the SYRION’s mind, Dark/Ambient project for which he make a name of himself during the period of ‘98-’99 with the issue of two works and Ivan Zara was the Mystical Realms and Oblivion’s guitar player. 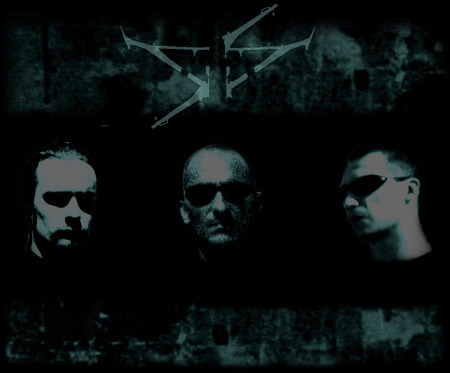 “Toward the dusk” is the first work as Void of Silence (after a mini CD never distributed for choice of the same members due to a wrong production), composed between November ’99 and June 2000 and in this period Malfeitor Fabban joined the band as vocalist. 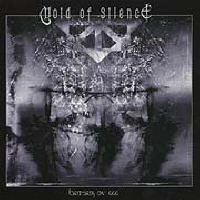 From April 2001 Void of Silence are under Code666 label. Between August 2000- November 2001 VoS composed the second album called “Criteria ov 666”out in February 2002 for Code666. 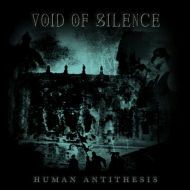 After the split with old vocalist, Void of Silence recorded two new songs for Code666 compilation out in September 2002. In September 2002 Alan Nemtheanga (Primordial) joined the band as new vocalist.